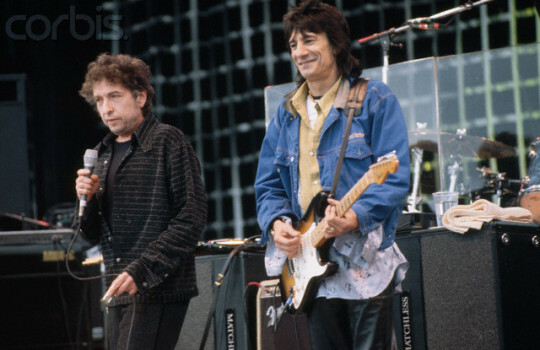 Bob Dylan and Ron Wood at the Prince’s Trust Concert in 1996. I’ve always loved this Bob Dylan song. I’ve got versions by Dylan himself as well as Keith Richards, Ron Wood and Joe Cocker. Here’s Bob Dylan doing it live in 1976 shortly after he wrote it. And here’s the excellent version off Ron Wood’s 1979 album, Gimme Some Neck. LOVE this song !!! Bob’s “throwaways” are better than most people’s “gems” !!! Aussie Jimmy Barnes recorded it on his Freight Train Heart Album in 1987. Here’s a live version.